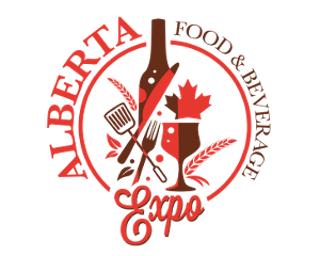 Experience the best of the best — locally and from abroad with the 2019 Alberta Food and Beverage Expo in Lethbridge at Exhibition Park this Saturday. Sample hundreds of wines, beers, delicious cocktails, and the best food from Alberta’s best restaurants and local suppliers. Owner and operator of the annual expo Chris Meilleur said the show travels to four cities in Alberta, at the moment — the other cities include Medicine Hat, Grande Prairie, and Red Deer. This year marks the seventh year for the expo, which got its start in Lethbridge. “You’re going to come and you’re going to see samples from breweries, distilleries, and vineyards from all over the world,” he said, adding then you’re going to sample food from local restaurants — everything from big chain restaurants to local independent eateries, cafes, and diners you might not have known about. “Everybody’s there and everybody is representing something unique they do. Every year it’s just a completely different show,” he said. Tickets for the show are $20 and sample tokens are $0.50 per token. The show runs from 5-10 p.m. with over 120 vendors spread out over the South and Main Pavilion at Exhibition Park. Tickets are available for purchase at Brown’s Social House South and West in Lethbridge, South Country Co-op Liquor Stores in Lethbridge, the Exhibition Park South Pavilion Office, and at the door. Also, come out and support the Lethbridge Firefighters and their Charities Association.